Spring is here and love is in the air. 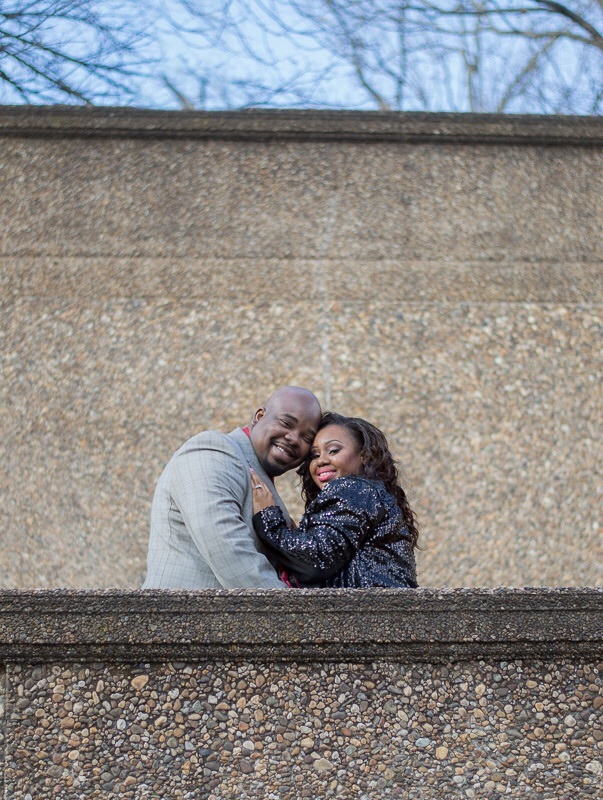 This past Sunday, I kicked off wedding season with a romantic and fun engagement session. Aaron and Nakeeta were such a cute couple. There session was our first time meeting and I was super excited! Nakeeta and I spent time over the phone discussing just what she wanted, an old 70's feel. The sweethearts met through a friend and the rest was history. They love spending time together and enjoy each other's personalities. "What makes our relationship special is that we don't take ourselves seriously; we can laugh at ourselves and each other without anyone getting upset." When the session first started they were feeling nervous. However, everyone knows I'm all about relaxed and laid back photographic experiences. Before you knew it, the two were in their own world and enjoying their time together. I stood off to the side and captured their candid moments. I had such an amazing time getting to know them both. We laughed, snapped pictures, made jokes and as a bonus, I got to meet an adorable little person, their daughter. Nakeeta is looking forward to seeing her wedding unfold as she envisioned it. A peacock themed wedding with elegance, class and sass. I can't wait to capture their nuptials this September. Here's to love lots of laughter.